This 5 Star hotel with contemporary outlook, is located at a distance of only 4 kms from the International Airport on the National Highway. Designed with an outdoor swimming pool, the hotel has 256 guest rooms that include 27 suites and one presidential suite. There are some fine dining options such as, NYC, a 24 hrs coffee shop and I'Ching for authentic Schezwan cuisine. The business travellers can make use of the meeting space, Surya Mahal, which can hold upto 400 people. 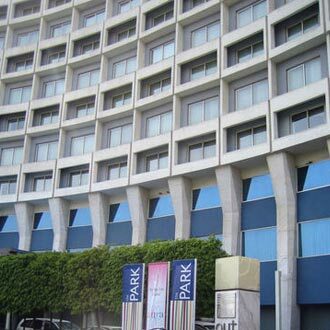 This 5Star hotel at Bangla Sahib Road maintains a total of 185 guest rooms, and also boasts of three well appointed and award winning restaurants namely, Sakura, a Japanese restaurant, Chutney, a bar and Tandoor outlet and the Zing, an all-day dining outlet. The other hotel facilities include a swimming pool, NeoVeda Spa and the Met Craft House, an exclusive 3500sq. ft. store, showcasing the best merchandise of India. 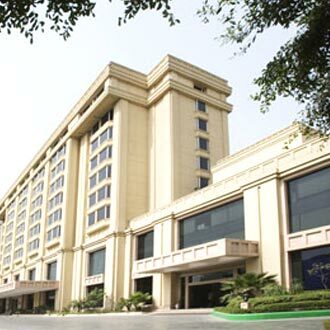 Located in the city's hub at Connaught Place, overlooking the historic 18th century Jantar Mantar Observatory, this boutique of a hotel maintains 220 luxurious rooms. There are three banquet halls, namely Mantra, which has an accommodating capacity about 250 persons in an informal style, and Yantra- I & II with a combined capacity of 350 people. Adding the recreation quotient are Aqua, the garden terrace bar, Mist, Italian restaurant, Fire, the Indian restaurant and Agni, the 35 foot long bar.